I just walked in and am getting the Save America’s Windows website setup. Take a look around and stop back for more soon. Feel free to leave a reply or ask a question. 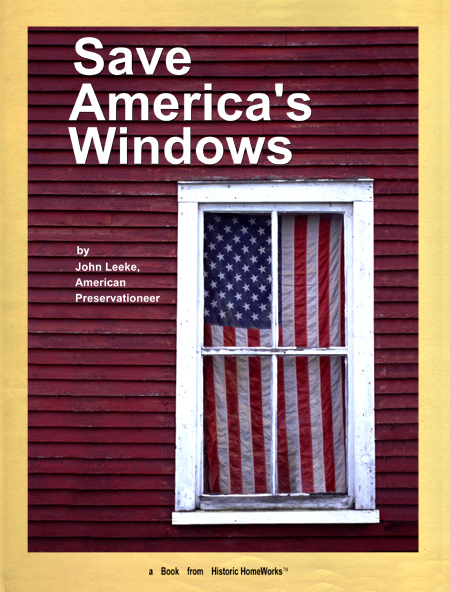 What were you looking for when you came to Save America’s Windows? I have a historical home in Ontario, just outside of Toronto. I’m working on one of my double hung sash window. I’ve pulled out both the bottom and top sash, I’m considering trying to replace the single sheet of glass with double glassed glass. Have you ever considered doing this? Do you think it will be beneficial in keeping out some of the cold this winter? I’ll also be looking at installing weather stripping around both sashes. The other thing I’m thinking of doing is to remove the side trim to open up where the weights are, I was thinking of getting some PVC piping and have the weights go inside the pipes. Then I’d put in spray in some expanding foam insulation. Can you tell me your thoughts about my plans? It would keep out the cold, but the seal between the glass panes will leak in 5 to 10 years and then the glass will permanently fog up. Also you would have to make the glazing rabbet in the sash deeper, which would weaken the sash joints, possibly leading to failure. This is not a good idea. The foam will trap moisture in the window frame joints, possibly leading to decay and failure of the joints. Thank you for your comments. I appreciate your getting back to me so quickly. 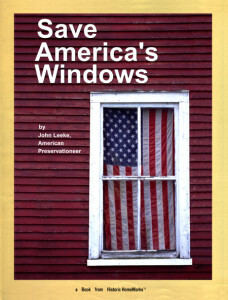 Save America’s Windows book reviewed.